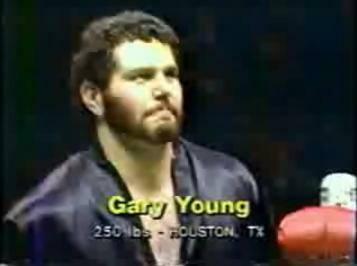 - NWA Mid-Atlantic Battle of the Nature Boys (July 8, '79) = Gary Young defeated Tony Russo. - Mid-South Coliseum (February 1, '88) = Young & Max Pain won the first CWA Tag-Team Titles, winning over Manny Fernandez & Jeff Jarrett. 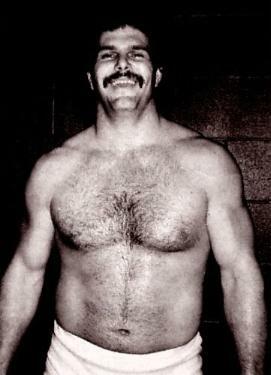 - Mid-South Coliseum (March 7, '88) = Young & Max Pain won the CWA Tag-Team Titles, winning a "$1,000 vs. Titles" Match over the Harris Brothers. - Mid-South Coliseum (March 28, '88) = Young & Max Pain lost the CWA Tag-Team Titles to the Harris Brothers. - Mid-South Coliseum (April 11, '88) = Young & Doug Gilbert lost a "Hospital Elimination" Match to Jeff Jarrett & Billy Joe Travis. - USWA Tag-Team Titles Tournament (December 1, '89) = Young & Billy Joe Travis beat Chris Adams & Eric Embry, then fell to Matt Borne & Jeff Jarrett. Robert Fuller & Brian Lee won the tournament.